I love the changes autumn brings but much prefer stomping through dry leaves than damp. I love your bottom set of photos. Another fan of the forests in autumn here :-)... It must be the smell, and the colours - a walk in a forest in autumn is just sheer delight for me ! I love all the autumn colours. But I love all the glorious colours of nature in every season too. All gorgeous images, but the lime green of freshly fallen leaves against the brown of those that fell less recently, that's my favourite, the essence of autumn. Anywhere with trees, even a local disused cemetary, is a mecca for me in autumn. I love that you mentioned the smell, my family have always reckoned that it's odd that I like that. I too love the damp earthy smell of rotting leaves. And the sound of them falling and landing when you're somewhere really very quiet - that's something which I enjoy too. Great posts on your autumn mantel and the feather garland. That's a good one to try with the little one, I think. A great post with wonderful pictures, and I can say yes to each and every sentence in it. Beautiful pictures Gillian. I love the colours Nature offers us during Autumn, they are gorgeous, vibrant, wonderful. You are so right, kicking up the leaves never looses it's pleasure does it? nothing prettier!!!! i'm going to go kick a few leaves right now!!! You expressed the concept of leaves so well! I always enjoy reading your blog-it is a happy spot in my day! If you forage for mushrooms, you'll get your taste experience! 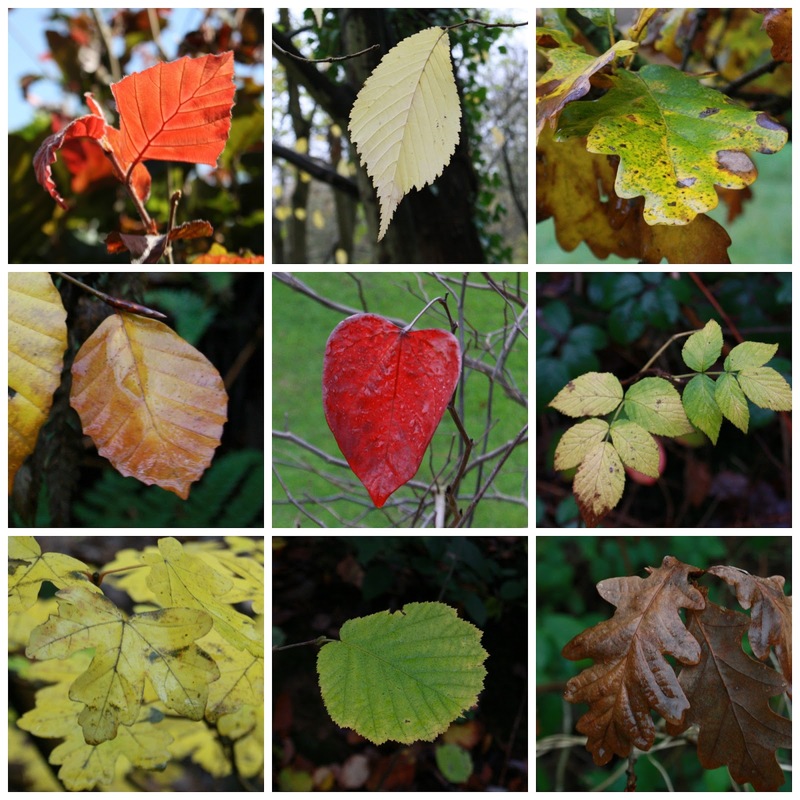 Such lovely photos depicting autumn. Well done Gillian. Have great weekend and take care.